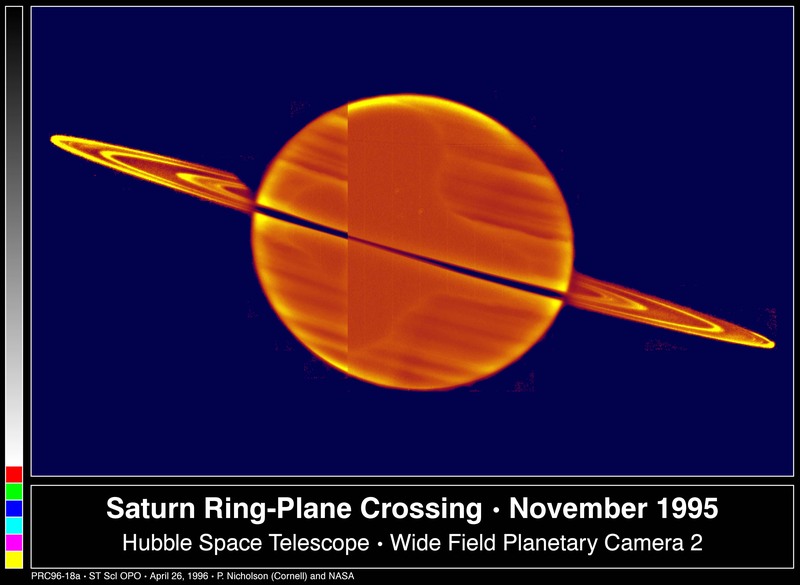 Explanation: Normally, earth-bound astronomers view Saturn's spectacular ring system fully illuminated by reflected sunlight. However, this intriguing picture was made to take advantage of an unusual orientation, with the Sun actually illuminating the rings from below. The three bright ring features are visible because the rings themselves are not solid. Composed of many separate chunks of rocky, icy material, the rings allow the scattered sunlight to pass through them -- offering a dramatic demonstration that they are not continuous, uninterrupted bands of material. 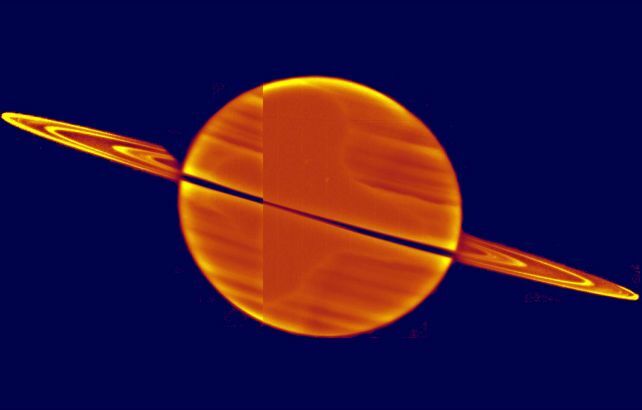 The picture is a false-color composite based on Hubble Space Telescope images recorded in November of 1995.